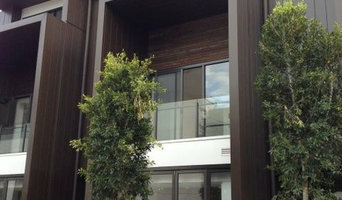 Vinyl Cladding Professionals are house cladding suppliers and installers for most styles of wall cladding, including exterior cladding, vinyl cladding, cladding systems, house cladding, gables, eaves, vents, shutters, fascia and accessories for new buildings and renovations throughout Victoria. We can also supply DIY cladding for those home builders and renovators who want to do the job themselves. Industry Cladding & Roofing Melbourne specialises in the construction of architecturally designed wall cladding, facade and roofing. 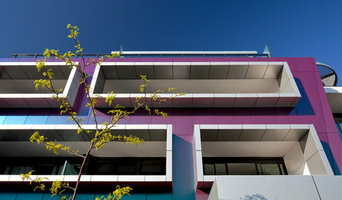 Metal Cladding Systems Pty Ltd. (MCS), manufacture architectural roof and wall cladding profiles. Working exclusively with sheet metal, we offer custom, lightweight facade solutions; made to superior quality standards, with unlimited design options. Our systems are produced in Braeside, Victoria, and we offer project solutions for developments Victoria wide (metro and regional). Our materials are sourced material from local production lines, Australian distributors and European suppliers. As manufacturers, we don’t offer installation. Instead we work closely with aligned professional tradesmen and roof plumbers. This approach enables us to maintain competitive tendering and ensures our profiles are installed following best practice guidelines in accordance with the Building Code of Australia (BCA). Combined knowledge from experienced machine operators, tradesmen, fabricators, sales specialists, architectural project managers and technical experts, allows us to offer unparalleled project support from concept to completion. DC Carpentry & Cladding are a Melbourne based company that was developed by owner Daniel whom has been practicing carpentry and cladding for 15 years. We are a trusted local business servicing Melbourne’s North/West suburbs, however we are happy to expand our work to anywhere in Melbourne. With our level of expertise in domestic, commercial and industrial carpentry and cladding, we will assist with a solution, no job is too big or small. We strive ourselves on meeting the expectations of all customers, whether you are enquiring about a job, or you are an existing customer, we are always available to assist. Our number one focus is ensuring all work is up to quality industry standard, therefore we endeavour to provide thorough collaboration with the customer to ensure a satisfactory result. Cladding We provide a variety of high-end building exterior cladding solutions for use within industrial, residential and commercial projects. Carpentry You’ll be surprised by the pleasing transformation your property will undergo through the work carried out by the best local carpenters northern suburbs Melbourne. Supplier of timber look aluminium batten cladding made in Japan, concrete tiles and 10mm real concrete overlay for floors. We sell a range of fireproof exterior cladding known as UltraMgO - a second generation Magnesium Oxide Wallboard which is Chloride free. It can be rendered or painted. UltraMgO is fireproof, waterproof, mould proof, termite proof, asbestos free, and can be sawn, drilled or nailed. Available as either exterior, interior or partition (PartyWall), it is Quality Controlled in Australia. Futurewood has a wide range of wood composite profiles, some specifically designed as weatherproof cladding, some specifically designed as fencing and others that can be used as either fencing or decorative cladding boards. Our services are as follows: • Decking • Cladding • Composite Decking • Plastic Decking • Outdoor Decking • Exterior Cladding • Timber Cladding • Timber Screens • Decking Ideas • Decking Timber Our service areas include: • Melbourne • Perth • Sydney • Adelaide • Brisbane If you are interested in knowing more about our services give us call or visit our website. DESIGNED SPECIFICALLY FOR ARCHITECTURAL APPLICATIONS. AT AMA, WE OFFER SCOPE FOR INDIVIDUALITY. The past 15 years has seen European style cladding and roofing become increasingly popular across Australia and New Zealand. This surge has motivated material suppliers to evolve, ensuring there are specification options, capable of matching architectural trends. AMA is the brainchild of Victorian based rainwater goods manufacturer, Bayside Flashing & Ventilations Pty Ltd. and sister company, Metal Cladding Systems Pty Ltd. Towards the end of 2011, leadership teams from both businesses began to pool 30 plus years’ of experience. They researched what their local roofing and cladding industry was lacking, to identify potential opportunities to better contribute. After analysing their own experiences, speaking with peers, installers, builders and design professionals, they discovered quality products were abundant, but material diversity and reliable onshore stock, was not. Today AMA is a rapidly expanding distribution business. By importing Italian materials, we are able to offer metal intentionally designed for European style cladding and roofing profiles. Most commonly Vestis and zintek® are specified and folded for standing seam, interlocking, nailstrip and flatlock systems. Vestis and zintek® have also been applied on custom artistic features and metal work projects. Our strategic partnerships with key Italian material suppliers, and a trusted local customer network, allows us to offer supported, informed and relevant service – in addition to outstanding aluminium and zinc coils. For more information on becoming a stockist, purchasing coils, or for specification assistance, please don’t hesitate to get in touch. 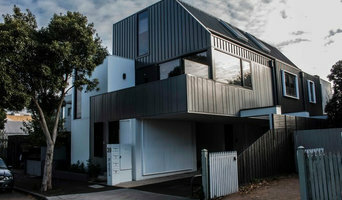 With over 14 years of experience and knowledge in the industry, MG Aluca Cladding is renowned as a supplier of the finest collection of the efficient and reliable aluminium cladding in Melbourne. We, being the reliable aluminium cladding installers has been engaged in supplying and installing excellent quality aluminium cladding such as Alucobond, Alucoil, Alpolic, Alutile, Vitrabond, Globond and other aluminium composite panel installation. At MG Alucacladding, we have a team of Alucobond installers, Alucoil installers and Alpolic installers who strive to serve our clients with excellent workmanship and guaranteed customer satisfaction. Being amongst the leading Alucoil Installers, we are involved in offering a host of services, interlocking panel cladding, compressed sheet cladding, Vitrapanel cladding and many more. Our external cladding is made using premium quality material that can withstand any adverse weather conditions in Melbourne and provides a high level of security and long-lasting results. The other best option for external cladding is the aluminium cladding manufactured using Vitracore G2 that is not only light-weight but is also impervious to UV rays and extreme weather conditions. We have completed a wide range of projects around Melbourne including commercial, residential and industrial sectors at the competitive rates. We have over 10 years experience in cladding installation and fine carpentry to help tackle any of your building, renovation and construction needs. We have incorporated advance manufacturing technology to a business philosophy. Our 3 Multicam CNC routers enable us to complete all our projects in a fraction of the time traditional methods normally take. Using a CNC router takes the guess work out of producing precise fitting cladding panels. Trailer Sales Adelaide, At Thor Trailers we manufacture & sells heavy duty custom made car trailers, box trailers, enclosed trailers, camper trailers,boat trailers, custom trailers and tradesman trailers to suit your need. Australian made from Bluescope Steel. Specialising in heavy duty, custom built tandem and tipper trailers suitable for commercial use. What types of cladding systems can exterior contractors install? 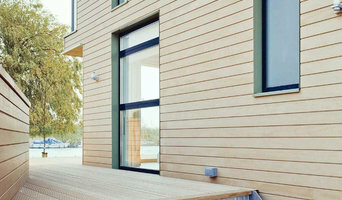 Timber cladding is often chosen for its natural good looks, resilience and longevity. It is more expensive than vinyl cladding, and does require more maintenance, but packs a punch in terms of style and natural appeal. While it’s a highly versatile material, it is especially popular in the construction of contemporary homes. Look for blackbutt, spotted gum and other native and plantation hardwoods. Vinyl cladding may be a more suitable option for homes by the sea, as it’s easier to clean and maintain. It does, however, fade and crack over time, but is available with UV protection. Your contractor may also suggest fibre cement cladding, which is not as affected by the sun or cold as other materials, and is resistant to warping, rotting, termites, water and fire damage. Some exterior contractors in Craigieburn, Victoria can provide you with planning tools that allow you to see before and after images of your house. Engage with a professional to see what their services offer. They may also need to work with other contractors to adjust framing or roofing to suit your desired exterior. Here are some related professionals and vendors to complement the work of cladding & exteriors: Building Project Managers, Architects, Roofing & Gutters, Home Builders, Design & Construction Firms. What is your insurance coverage? 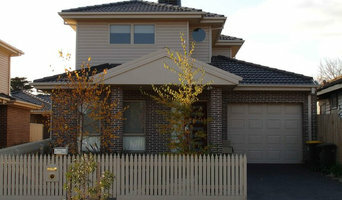 Find a Craigieburn, Victoria home exterior contractor on Houzz. Scroll through this page to find professionals in your area. You can narrow your search by selecting your nearest city or postcode. Browse professionals' latest projects or product photos, read reviews and message them directly.